Cinematic stereotypes, narratives and iconographies remain in filmmakers’ consciousness leading a deconstruct or reworking of the tropes that made a genre so influential. This is true of both Neo-Noir and Neorealism. No exemption to this statement, the Western is a genre continually revised by contemporary film creatives. In recent years, Slow West (John MacLean, 2015), The Assassination of Jesse James by the Coward Robert Ford (Andrew Dominik, 2007) and Sweet Country (Warwick Thornton, 2017) have all reshaped the themes of the genre to their contemporary socio-political and geopolitical issues, none more so than the latter. All of these films build upon the enduring legacy created by the maverick Italian director Sergio Leone, often described as the King of Spaghetti Western. 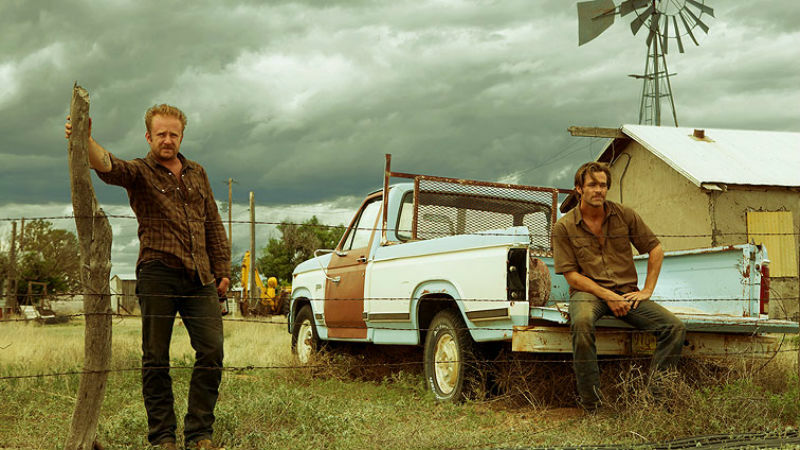 In particular, though separated by 51 years, Hell or High Water (David Mackenzie, 2016, pictured below) uniquely works inside and outside the filmic and musical framework assembled in For a Few Dollars More (Sergio Leone, 1965; pictured above and at the bottom of this article). Crafted by masterful musicians in Ennio Morricone’s 1960’s score and Nick Cave’s recent collaboration with Warren Ellis, when studying the intertwining nature of character, setting and ambience, it is indisputable to not see the links between this Neo-Western and its predecessor. Crafting a new template for further neo-Westerns to abide by or reconstruct, Leone in A Fistful of Dollars (1964) built upon the legacy of John Ford et al – heightened by his acute Italian sensibility of style and atmosphere. The director and composer Ennio Morricone in For a Few Dollars More produced a film with deeper musical roots to its characters, alongside eclipsing the visceral cinematic imagery and budget of Fistful. Resulting in an opening credit that imbues the barren landscape with a merciless quality, the twinging and sporadic guitar strings merge with an ambiguously innate whistling, rapid gunshots and passing flutes. Before any of the main cast has appeared on screen, the thematic underpinnings of Morricone’s orchestra have come to prominence; shaping his career and recreating the Western’s musical framework. Revelling in its genre of filmmaking, the blood red filter accompanies the vast long shot to elicit the assassination of the lone rider, who is seen falling off his horse moments previous. Methodically designing this symphonic layering ‘Sergio asked for simple themes, easy on the ear, tonal, popular themes. He falls in love with the music and wants more from it’, as stated by Morricone himself in Christopher Frayling’s 2000 book Sergio Leone: Something to Do with Death. Rejecting any form of filler melodies, swaying the audience towards a particular emotion, the prolonged effect of sustaining intimate tones towards Clint Eastwood’s Monco, Lee Van Cleef’s Colonel Douglas Mortimer and sinister El Indio (Gian Maria Volonté) makes the trio’s final showdown all the more overwrought. 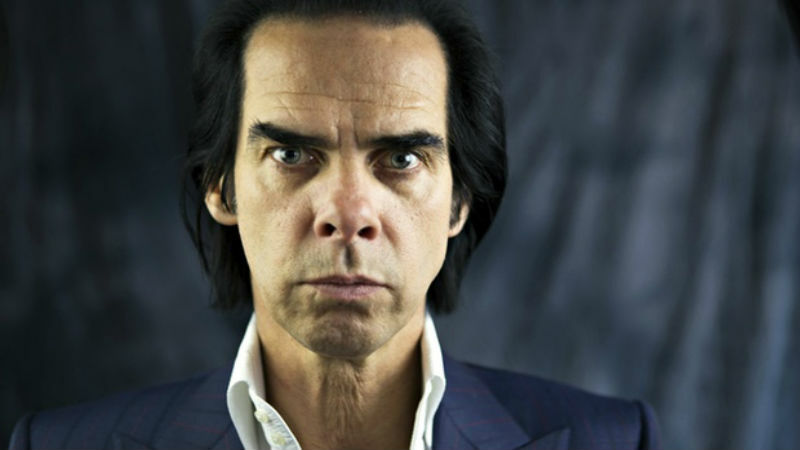 A virtuoso craftsman, Nick Cave’s (pictured above) compositions, with fellow collaborator Warren Ellis, in Hell or High Water employs a comparable symphonic arrangement to Morricone, inducing the Western milieu into an unforgiving state. The opening track, Comacheria, is structured around strings, equivalent in For a Few Dollars More’s fluttering guitar score. Yet, the melancholic drawn out quality possessed in the violin strings and piano is firstly classical. Orchestrally akin to an overture, the elongated strings permeate, until the introduction of a solemn piano. Finely tuned, sorrow is sustained by the detached compositions of Cave and Ellis. Working alongside each other on their third Neo-Western – after The Proposition (John Hillcoat) and formerly mentioned The Assassination of Jesse James by the Coward Robert Ford – the inventiveness demonstrated in scratching away at the thin veneer of assertive masculine in these two previous films comes to an accumulative impact in Mackenzie’s film. Gone are the relatively whirring pitches of Morricone. 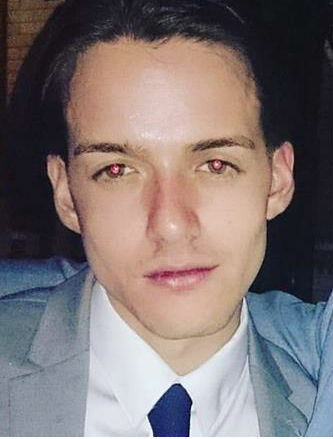 What remains is a score that has “scale and emotion”, yet “does not feel manipulative or overwhelming”, as the Scottish director wrote in a statement previous to the soundtrack’s conception. Allegorical of the Western genre’s lingering impression over a false sense of identity, Sheridan’s sheriff Marcus Hamiltion (Bridges) nears the end of his lengthy career. Similarly, both Toby and Tanner are lead to rob banks due to their disenfranchised by witnessing the destruction caused by the Iraq conflict, a post-global financial crisis and the threat of their home being re-financed. The strains of contemporary society wrap themselves around this barren land, leaving scavengers as Toby and Tanner in its wake. In a way, Hell or High Water is a post-cowboy world where the gun slinging heroes of Eastwood and Van Cleef have long gone. Operating in a foreboding fashion, Mackenzie, along with Cave and Ellis, use the template of the Western to speak to a greater truth- the fading of the America’s global dominance. Still, divided in their motifs, the musical formations of this Neo-Western and For a Few Dollars More, unknowingly or not, share an analogous construction of genre. Irrespective of their time of production, both these Westerns deploy a harmonious transition of sight and sound to incite a cinematic odyssey into the wild wild West. 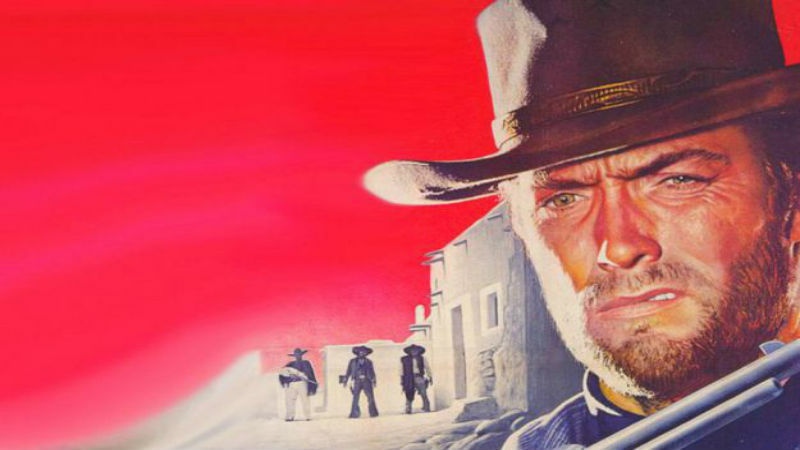 For a Few Dollars More is showing at the BFI South Bank as part of the Sergio Leone season taking place right now!